The Steamer 1.8l is unique. The Steamer you can eat extremely healthy. Vitamins and minerals will be retained, since no oxygen is supplied and there is no oxidation of the foods. The cooking process takes place at low temperature in vacuum. 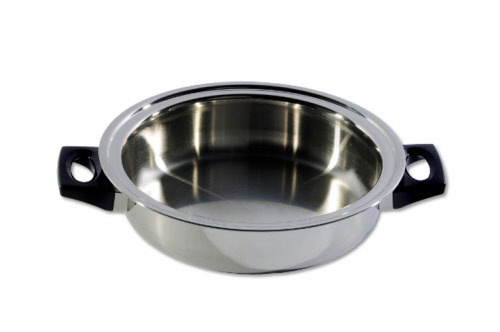 By buying this pan you invest definitely sustainable. 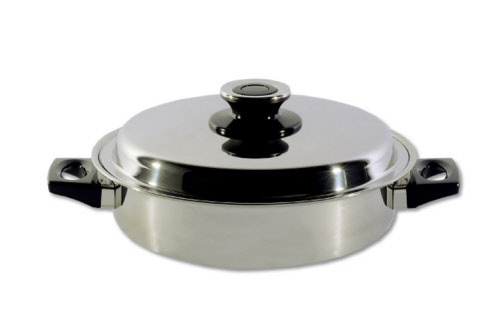 The pan is manufactured in Switzerland from a 5-layer multi-layer material (5-ply). Supplied with a matching cook box for keeping food warm is included for hours. Suitable for all stove types.